- I already discussed in detail The Ultimates #8. You can find that HERE. - We got a flashback appearance in Totally Awesome Hulk #7. It was a flashback to one of the first issues with Tony and T'challa trying, and failing, to solve the Hulk explosion problem. 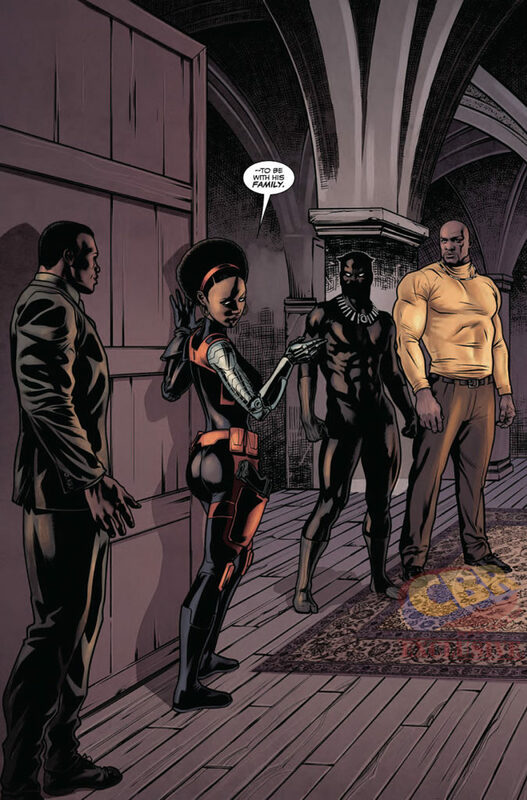 - As shown in the previews, T'challa showed up to War Machines funeral in Captain America: Sam Wilson #10. Surprising to me, he only in the panels shown in the preview and had no interaction with Storm whatsoever. He was in the background in numerous panels however. And I believe that wraps up this week. If I missed anything, let me know in the comments!